This is a simple adaptor board for USB to serial for XBee. 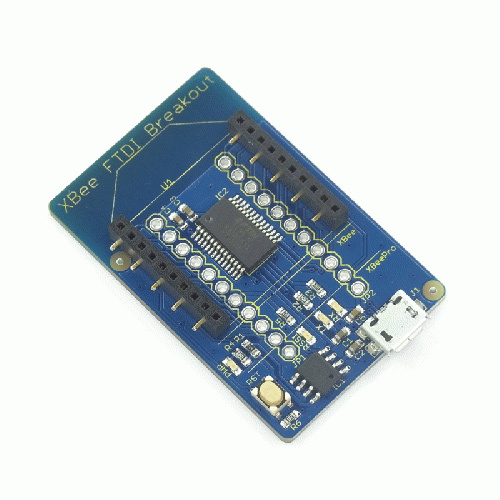 This board works with all XBee modules including the Series 1 and Series 2.5, regular and Pro version. This board has a reset switch for XBee modules, a power LED, and indicator LEDs for RSSI, TX, and RX.